French to English sentence translation can be used on any kind of document, from novels to important medical texts. It is important to find the right translator for your work, but it is equally as important to be a good client. What are the ways you can do this? Being a good client for your language translator will mean that they are happier, and it reflects better on you. There is a mutual benefit, and being a good client is not something that is difficult. Firstly, when you see that a piece of work has been done to a high standard, or has been sent back ahead of your deadline, you should offer praise. Just as you like to hear that you’ve done a good job, so will your French to English translation expert. And if you are happy with the work that has been done, paying promptly is also a good thing to do. If you’re not overly happy, offering constructive feedback is the best way to explain to your translator what has gone wrong. Deadlines are extremely important. A good client will give clear deadlines from the beginning. This helps the translator set their work schedule accordingly. 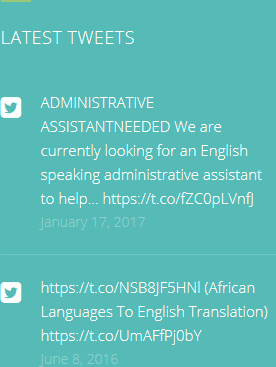 Equally, a good client will provide their translator with all the background material they might need for the job (assuming this is a requirement – not all translation jobs will need any additional information). This will save a lot of time when it comes to getting the job done right the first time. 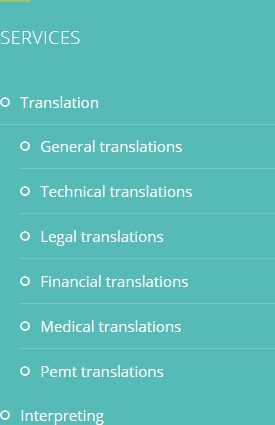 With HQ-Translators (https://hq-translators.com) you will find that we can work with you on many different French to English sentence translation projects. 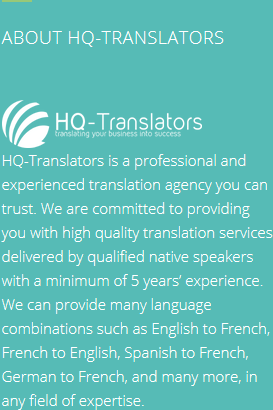 Contact us on (00 237) 242 71 38 38, or (00 237) 693 21 69 27, or email infos@hq-translators.com to find out more about how we can work together.